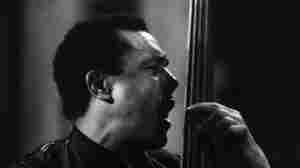 April 30, 2008  By 1956, Mingus was known as an exceptional bass player and a budding composer. The ferocious burst of creative energy yet to come established him as one of the greatest minds in jazz history. April 29, 2008  For 84 years, opera buffs have puzzled over how Italian composer Giacomo Puccini meant to finish one of his best-loved works, Turandot. Now, a young Chinese composer has put a new spin on the famous opera set in a mythical China. April 29, 2008  Lyfe Jennings' transformation from prisoner to singing star has touched millions of his fans — including the ones he knew behind bars, who see him as an inspiration. Farai Chideya speaks with the R&B soul singer about his new CD, Lyfe Change. April 28, 2008  Composer and jazz clarinetist Jimmy Giuffre, who died April 24, was an early pioneer of both the cool jazz and avant-garde jazz movements of the '50s and '60s. In Giuffre's honor, WGBH presents an audio documentary recorded in 1994. The program features Giuffre telling his story in his own words. April 28, 2008  He was a conductor, an activist, and a public figure in the world of classical music. But before all that, Mstislav Rostropovich captivated the world with his cello. Sara Fishko talks to leading cellists about "Slava" and his legacy. April 27, 2008  Through quirky YouTube videos, OK-Go has made its name as a band. Lead singer Damian Kulash explains how free Internet culture shapes the music industry. April 27, 2008  Rolando Villazon's new CD Cielo e Mar celebrates the tenor's return to opera. He took a five-month hiatus after his voice began to falter. April 26, 2008  On the band's first album in more than 10 years, Portishead finds a new door into its future. Members Geoff Barrow and Adrian Utley talk about what it means to still be strange even when the odd production techniques of Dummy are standard practice today. April 25, 2008  Singer-composer Nick Cave composed the soundtrack for last year's The Assassination of Jesse James by the Coward Robert Ford; he also wrote the screenplay and the soundtrack for The Proposition. Now, Cave has released a new CD with his band the Bad Seeds: Dig!!! Lazarus Dig!!! April 25, 2008  In the Southwest China village of Dimen, song takes the place of the written word. American author Amy Tan talks about how the cicada-imitating Dong voices use song to tell stories of nature and the changing of seasons. However, Dimen's rich oral history may soon be lost. April 25, 2008  Pit Baumgartner — a.k.a. De Phazz — made his name constructing popular remixes of songs by famous jazz artists like Ella Fitzgerald. The German deejay's latest album is Tales of Trust. April 24, 2008  Boasting a cast of respected rap veterans — and their dinosaur avatars — the new collection called Baby Loves Hip Hop is all about helping preschoolers get their prehistoric party started. April 23, 2008  There is an unofficial moratorium on taking encores at New York's Metropolitan Opera. But tenor Juan Diego Florez broke the 14-year old ban Monday night, singing 18 high C's back to back.